Undecided about what level of firmness you need in your mattress? Go for the Layla, our pick for the best mattress for side sleepers. If you don’t like the firmness on one side, just flip it over! You’ll have to keep reading to find out the other reasons Layla came in first. We’ve got all the details about this mattress, and 9 more excellent choices, in our full ranking below. Some people like a firm mattress. Some people like a soft mattress. But if you’re a side sleeper, you know the best mattress for you is somewhere right in the middle: Firm enough to provide support, but soft enough to contour to your body while keeping your spine in alignment. But are foam mattresses best for side sleepers? Or should side sleepers go with a hybrid, innerspring, latex, or air chamber mattress? How does someone’s weight affect the decision between a firm and soft mattress? And what else should a side sleeper be aware of before making a purchase? We’re here to answer all these questions and more. So pull the covers up tight, get comfy, and settle in for our ranking of the 10 best mattresses for side sleepers. Whether you're a log, a yearner, or a sprinter, these mattresses are a dream come true for side sleepers. The versatile Layla Mattress is like 2 mattresses in one. Don’t like how firm or soft one side of the mattress is? Just flip it over! That’s the kind of versatility side sleepers need to get optimal shut-eye. The Zinus Pressure Relief Pocketed iCoil Hybrid Mattress features soft, comfy foam on top of supportive, bouncy coils. Best of all, Zinus means side sleepers can get a good night’s sleep without breaking the bank (or their back!). If you’re a side sleeper in desperate need of some R ‘n’ R, and money is no object, head straight for the Nectar Mattress. You’ll pay a little more for it, but given the mattress’ incomparable support, breathability, and comfort, the Nectar is worth the cost. What is the healthiest way to sleep? Congratulations! You’re a side sleeper! There are actual, real-life health benefits to your preferred sleeping position. Sleeping on your side keeps your airway open, which helps with sleep apnea. And side sleeping also keeps your back, spine, and pelvis in alignment, minimizing pressure on your joints. And on top of all that, side sleeping is even thought to help keep your heart healthy! But not all side sleepers are the same. So we’ll begin our ranking of the best mattresses for side sleepers with a deep dive into the subtle, yet very important, variations in the positions side sleepers prefer while they get some shut-eye. In the log position, sleepers extend their legs out and keep their arms at their sides while keeping their back perfectly straight. About 14% of side sleepers prefer this position while in repose. Side sleepers who assume the sprinter position while slumbering keep their arms and back straight, while curling one knee and keeping the other knee straight and fully extended. This position is very uncommon among side sleepers. So if this position is for you, you are a rare breed, indeed. No, we’re not talking about the position you assume when you see your student loan statement (though it’s very similar). The fetal position means your back is hunched, with knees and legs curled into a baby-in-the-womb-like position. Fetal is by far the most common side sleeping position. Side sleepers generally prefer a medium-firm mattress. But your body weight makes a difference in whether you should choose a firm or soft mattress. Here’s a simple guide to optimal mattress firmness in relation to your weight. Less than 130 pounds: If you’re on the light side, go with a medium-soft or even softer mattress. You need a mattress that conforms to your body, and since you’re light, you won’t sink into your mattress like heavier individuals do. 130 – 230 pounds: If your weight falls in this range, you’ll likely want a medium to medium-firm mattress. 230+ pounds: To avoid sinking into the mattress, and in order to prevent spinal misalignment, sleepers in this weight range will need a medium-firm mattress or firmer. Which type of mattress is best for side sleepers? If you’re a side sleeper, what your mattress is made out of is mostly a matter of personal preference. But each kind of mattress — foam, latex, coil, hybrid, or airbed — has its own set of pros and cons. Here’s a quick rundown of the different kinds of material mattresses are commonly made out of, and some pointers on what side sleepers should look out for in each one. Foam: Foam mattresses conform to the body and provide good pressure relief, both of which make foam mattresses a good choice for side sleepers. Some foam mattresses do sleep hot, however, and they may be prone to sagging. Latex: Latex provides a lot of the same benefits for a side sleeper as foam, but with less sink and more bounce. These mattresses generally sleep cooler than foam. On the downside, latex mattresses can be pretty expensive. Innerspring: Innerspring mattresses are known for sleeping cool, and they’re also relatively inexpensive. However, they don’t contour well and they offer little pressure relief, so it’s best for most side sleepers to avoid innersprings. 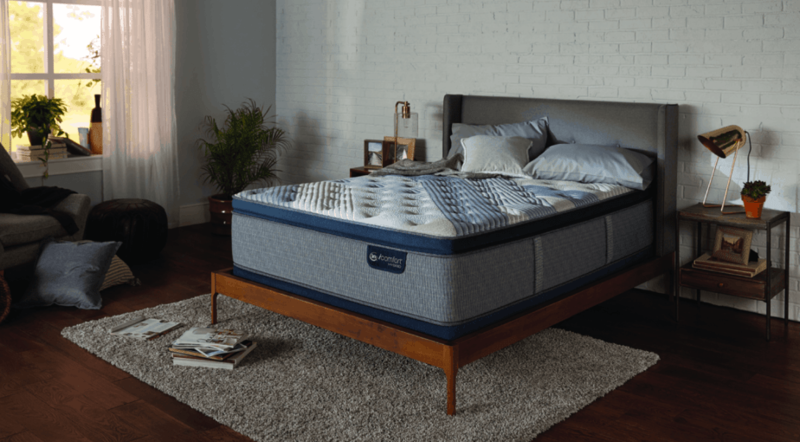 Hybrid: A combination of innerspring and foam, hybrid mattresses are known for sleeping cool, as well as conforming well to the body — all good things for the average side sleeper. Hybrid mattresses are pretty spendy, however. Airbed: Airbed mattresses have individual air pockets that are adjustable via remote control. Airbeds are close-conforming, with good pressure relief and adjustable firmness. Here’s the bad news: Airbeds are very, very expensive. But how much is a good night’s sleep worth? 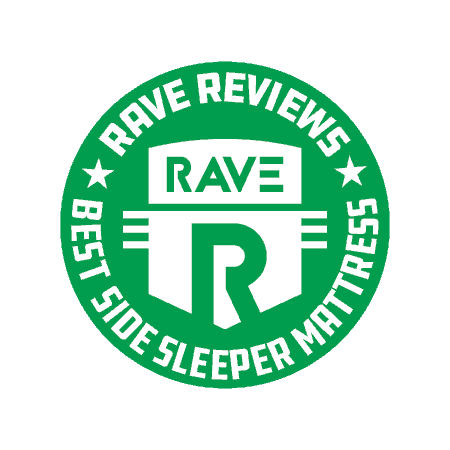 To compile this ranking of the best mattresses for side sleepers, we examined and analyzed hundreds of consumer reviews, while also performing our own analysis on dozens of different mattress brands. In addition, we triangulated similar lists from authoritative sites across the internet. We also took into consideration the advice and input of industry professionals and healthcare providers. Alright, groggy side sleeper. With this information, you’re ready to select the best mattress for side sleepers. Let’s get started. Coming in first on our ranking of the best mattresses for side sleepers is the Layla Mattress. Why? Because of the mattress’ flippable firmness. We know side sleepers need firmness options, with a good balance between firm and soft. So if one side of the Layla mattress is too firm, all you have to do is flip the mattress over for a medium-soft option. The mattress is made from copper-infused memory foam, providing a cooler sleeping experience. There’s also a thermogel-infused cover for excellent heat dispersion. The mattress is made in the USA from CertiPUR-US certified memory foam. And Layla partners with a San Francisco homeless shelter, helping to provide someone in need with a place to sleep for every mattress sold. All this, combined with a lifetime warranty, a reasonable price tag, and a variety of firmness options in one mattress, makes the Layla Mattress the best mattress for side sleepers. Try it for yourself with Layla’s 120-night trial. Second place on our ranking goes to the Nolah Original 10. What we liked was the outstanding pressure relief and cooling, created by 2 inches of Nolah AirFoam, which also creates excellent body contouring. The Nolah AirFoam rests on top of an inch of deeply supportive high-resilience foam, which is more durable than latex. And beneath all that, there’s a third layer of high-density breathable base foam reinforcing the support and contouring of the top layers. All the layers work together to create the perfect “medium firmness” — just what side sleepers need for a good night’s rest. The Nolah Original 10 is also known for absorbing motion, making it a great choice for couples or for anyone with pets. The mattress is durable, and it’s protected by a natural viscose cover. It is slightly more expensive than the Layla, and only has a 15-year warranty. 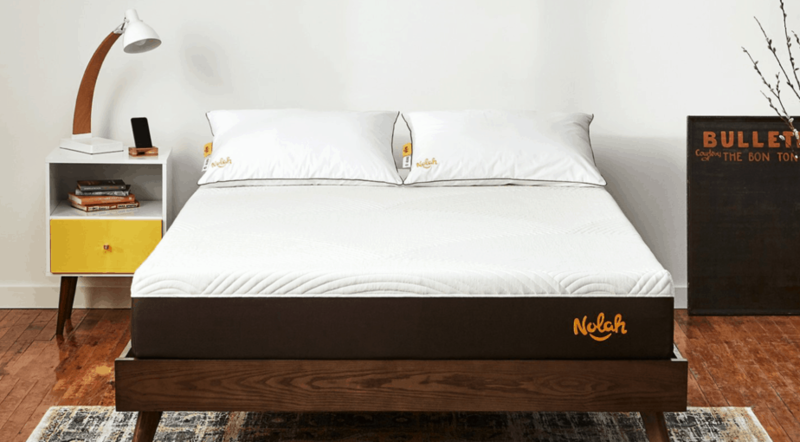 Both of these aspects factored into our decision to make the Nolah, in many respects an excellent mattress for side sleepers, a close second in our ranking. See what you think with Nolah’s 120-night trial period. 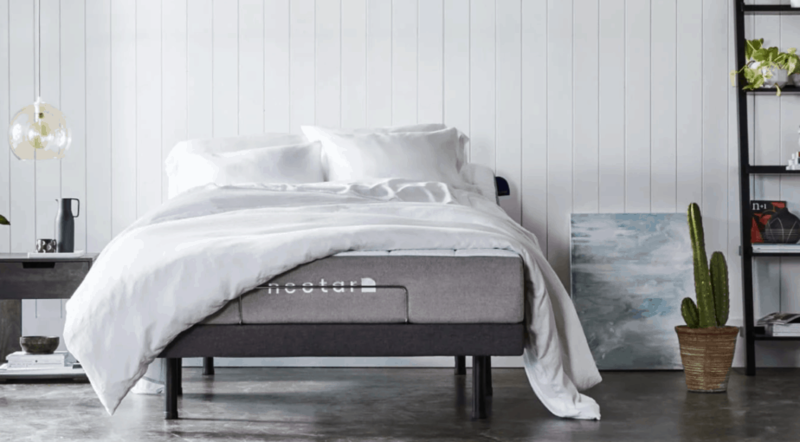 Ranking in at number 3 among the best mattresses for side sleepers is the Nectar Mattress. With Nectar, 2 layers of gel memory foam create optimal firmness, breathability, and comfort. The mattress works with all bed frames. A perk with Nectar is the brand’s industry-leading 365-night home trial, and (through a limited-time offer) the inclusion of 2 free Nectar pillows with purchase. All materials in the mattress are CertiPUR-US certified — meaning no ozone depleters, PBDEs, TDCPP, mercury, or lead. While Nectar makes a great mattress for side sleepers, protecting their product with a very generous “forever” warranty, we ranked Nectar a little lower due to its lack of firmness options, and its slightly higher price point compared to other mattress brands. Up next on our ranking of the best mattresses for side sleepers is the Lux Mattress from Puffy. The Lux comes complete with a stain-resistant, “Zip-N-Wash” cover. 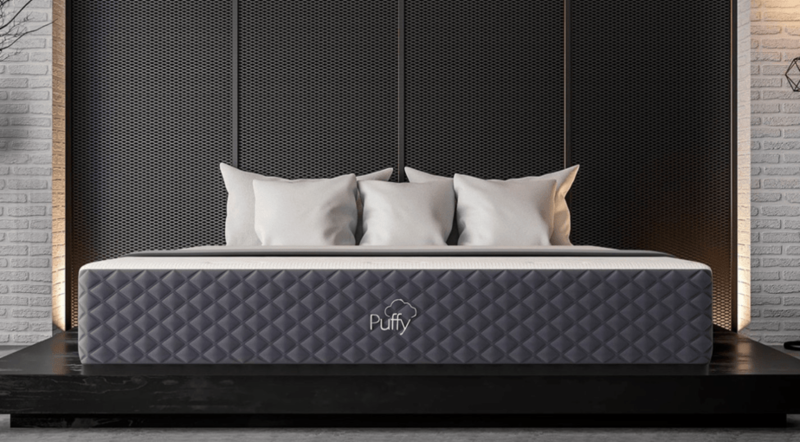 And exclusive to the Puffy Lux is the Cooling Cloud and Body Adapting Dual Cloud Foam, providing the kind of contouring and pressure relief side sleepers need. There’s also climate adaptive regulation, resistant to humidity and temperature fluctuations, and firm core support. Shipping is free from Puffy, and you can try your mattress out with a 101-night sleep trial. In addition, purchases are protected by a lifetime warranty. Puffy mattresses are made in the USA, and the brand also donates mattresses to children in need. Overall, the Puffy Lux Mattress offers a lot of great features for side sleepers, but you’ll pay a little extra for them, and there are better trial periods on the market. Rounding out our top 5 best mattresses for side sleepers is the Helix Nightfall. 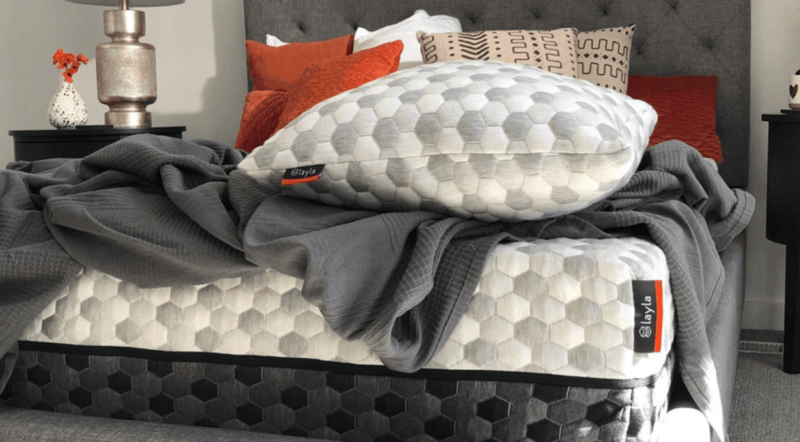 The mattress cover features Helix’s unique “Two Touch Design,” with a soft, stretchy top layer and a breathable lower layer. The mattress also includes a comfort layer of Helix dynamic foam for improved conforming. Extra body support comes from a base layer of DuraDense foam. There’s also a transition layer of high-grade polyfoam for ergonomic support and cushioning. 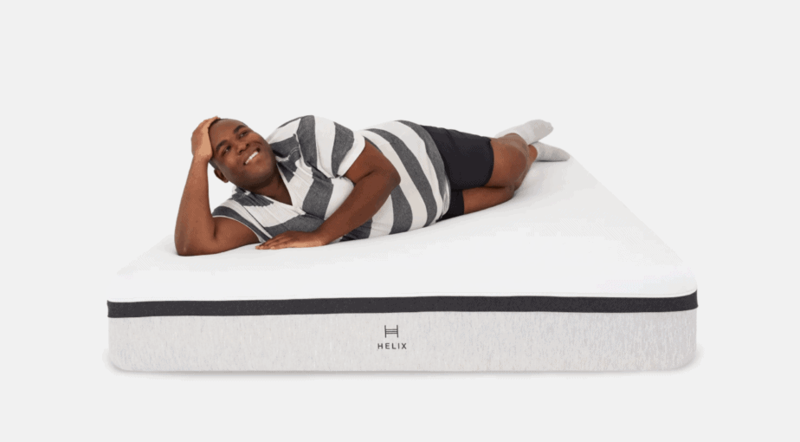 The Helix Nightfall is a great mattress for big ‘n’ tall side sleepers, and very reasonably priced — it’s a perfect mattress for anyone seeking a medium feel. This is a hybrid mattress, with XL coils to support heavier weight and provide extra edge support. The mattress is made in the USA, and Helix offers free shipping in the US. 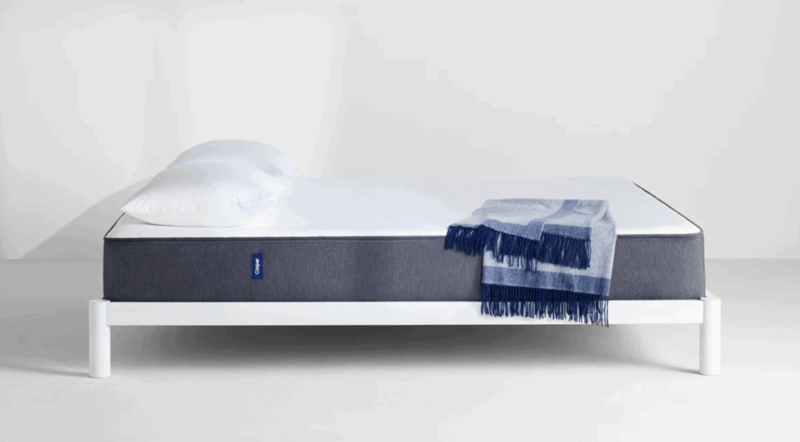 Try the mattress with Helix’s 100-night sleep trial. If you decide to keep it, your purchase is protected by only a 10-year warranty. If the warranty was a little more generous, the Helix would’ve ranked much higher in our ranking. Coming in sixth on our ranking is the Pressure Relief Pocketed iCoil Hybrid Mattress from Zinus. The iCoil Hybrid puts 2 layers of foam on top of bouncy coils — creating a mattress that’s both bouncy and firm. Sleepers report waking up pain-free thanks to the mattress’ supportive pressure relief. Another factor in the great support and pressure relief provided by Zinus is the individually wrapped iCoils. These are more firm than traditional coils, and they also provide extra motion isolation. The whole mattress is covered in a plush microfiber quilt for an extra-cozy night’s sleep. The iCoil Hybrid will ship free in the US, it’s CertiPUR-US certified, and it comes with a 10-year warranty. You can see what you think for yourself with Zinus’ 100-night sleep trial. Zinus mattresses are very affordable, no question — but the mattress sometimes fails to “bounce back” after pressure is removed, especially when compared to traditional memory foam mattresses. This can result in some sagging and body indentation after use. 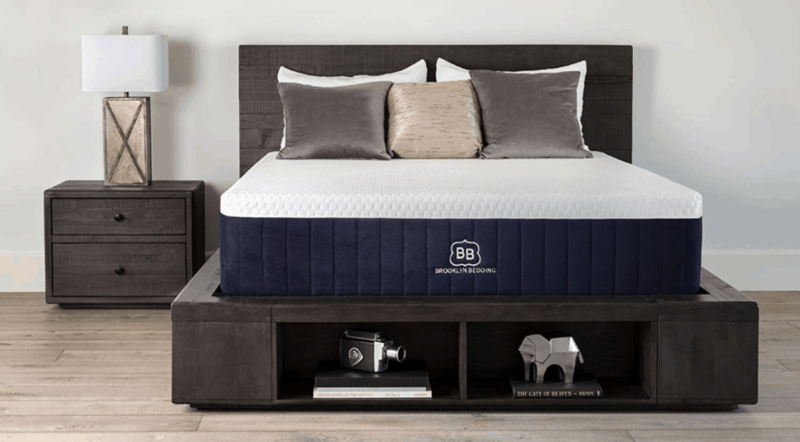 Seventh on our list of the best mattresses for side sleepers is the Aurora mattress from Brooklyn Bedding. The Aurora comes with 3 firmness options — soft, medium, and firm — with great contouring and support. The mattress features individually encased coils for excellent pressure relief. The mattress also has unique cooling properties, created by Brooklyn Bedding’s TitanCool technology. Cooling gel beads liquefy at higher temperatures for cooling relief. At lower temperatures, the beads solidify to create an ideal sleep environment. The mattress is CertiPUR-US certified, and it fits most bed frames including box springs, slats, platforms, and adjustable foundations. It’s made in the USA, and it comes with a 10-year warranty. However, Aurora only honors its 120-night sleep trial on purchases made directly from the company. A more generous sleep trial, longer warranty, and lower price point would have pushed the Aurora further up our ranking. Even so, Aurora is a great choice for side sleepers looking for a night of cool, comfortable sleep. 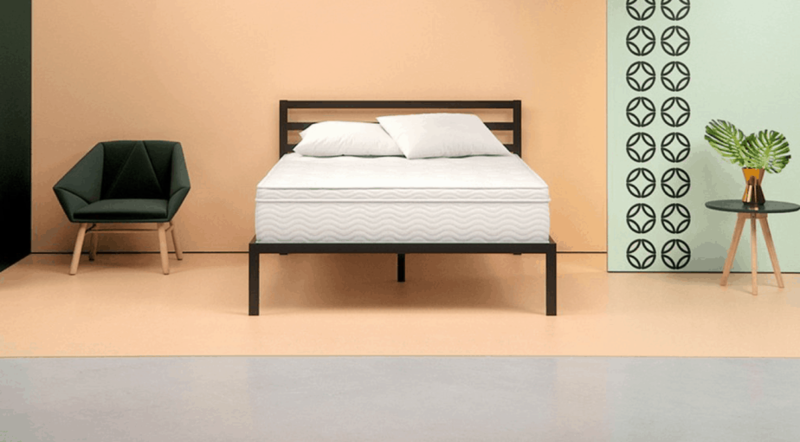 Next on our ranking is the Casper Original Mattress, a 4-layer foam mattress offering unique zoned support and breathable, open-cell design that allows heat to dissipate. Casper provides the support side sleepers need by putting softer foam under shoulders, and firmer foam under hips and core. Beneath the zoned comfort layer, there’s a supportive base layer for added durability, as well as a tough, upholstery-grade cover. Casper’s unique combination of foams also helps minimize motion transfer. Casper offers a 100-night sleep trial, as well as a 10-year warranty. The Casper Original Mattress is very reasonably priced, and would have landed much higher in our ranking with a more generous warranty and sleep trial. The penultimate mattress in our ranking of the 10 best mattresses for side sleepers is the Serta iComfort Hybrid Blue Fusion 100. This mattress comes with a stretchable, quilted cover made of TempActiv Balance Fabric. Also included in the cover is FireBlocker Fiber. The comfort layer of the mattress features one inch of Serta’s proprietary PillowSoft Aire, and a half-inch of Serta PillowSoft Foam. The top layer of the mattress remains breathable and cozy, while TempActiv gel memory foam underneath absorbs and dissipates excess heat. The Serta Hybrid Coils provide an ideal level of support for most side sleepers, while the Best Edge foam encasement keeps the mattress’ edges firm and secure. Serta only offers a limited warranty, however, and no apparent sleep trial period — both of which are contributing factors to Serta’s ninth place finish. Innerspring mattresses generally don’t conform well enough, or provide enough pressure relief, for side sleepers — a big reason Saatva’s Innerspring Lux Firm ranks last. Nevertheless, the mattress still deserves consideration from side sleepers because of the coil-on-coil construction, which provides much more advanced lumbar support than other innerspring mattresses. The Saatva also comes with an edge support system, an organic cotton cover, and an exclusive Guardin treatment — a botanical antimicrobial fabric treatment that inhibits bacteria growth and contributes to the longevity of the mattress. The reasonably priced Saatva comes with a 15-year warranty and a 120-night sleep trial. If you’re a side sleeper who doesn’t mind coils, the Saatva is a fine choice with several firmness options. Now you’re not only a side sleeper, you’re a side sleeper with a great mattress — one of the best mattresses, if we do say so ourselves. But our main objective is to help you get a good night’s sleep. So let’s take a look at a few other commonly asked questions from side sleepers just like you. How we sleep doesn’t seem like a conscious decision. However, if you’re having back, neck, or hip pain, or issues with snoring, a conscious effort to change your sleeping position (plus a new mattress and pillow!) could help. Here are some pros and cons to different sleeping positions. Which one’s right for you? What you need to know: Back sleeping is generally considered the healthiest sleeping position. If you’re suffering from back and neck pain, or acid reflux, give this position a try. What you need to know: There’s reason to think that side sleeping causes wrinkles. But overall, next to sleeping on your back, side sleeping is considered the best sleeping position of all. What you need to know: If you’re prone to snoring, try the fetal position. If you have back or neck pain, however, this position might keep you up all night. What you need to know: Since sleeping on your stomach makes it very difficult to maintain proper spine alignment, stomach sleeping is discouraged. If snoring is an issue, however, and you aren’t prone to back or neck pain, sleeping on your stomach might help. Is it better to sleep on your left side or right side? Now that we’ve learned a little about the advantages and disadvantages associated with different sleeping positions, let’s take a look at whether it’s better to sleep on your right or left side. Don’t forget, sleeping on your back is considered to be the healthiest sleeping position. Studies show roughly 80% of people will suffer back issues, caused or aggravated by their sleeping position. But if side sleeping is the only position that helps you get your Zzz’s, here’s how choosing to sleep on your left or right side can affect your health. Sleeping on your right side: Sleeping on your right side can worsen heartburn and acid reflux. Sleeping on your left side: If you’re most comfortable sleeping on your left side, you might be helping to prevent heartburn and acid reflux, but you are putting extra pressure on internal organs like your liver and stomach. For optimal blood flow, pregnant women are advised to sleep on their left side. If you are a side sleeper, we recommend an ergonomic pillow to keep your head level, with a small pillow to support your stomach, and a third pillow between your knees. And regardless of which side you sleep on, side sleeping will help prevent snoring. Try it, and if you sleep with a partner, they can thank us later. How firm should a side sleeper’s mattress be? Most side sleepers like a medium-firm mattress — but that’s far from a one-size-fits-all solution. Deciding on a firm or soft mattress is an important step in the mattress-buying process. Here are some things to remember when making the decision. “I need a supportive mattress, so naturally that means it will be firm,” you might be telling yourself. But that’s not always the case. Support comes from the core of any mattress: the dense bottom layers of foam, or the mattress’ innerspring system. In other words, support has very little to do with whether your mattress has a firm or plush surface. Plush vs. firm mattresses — which is right for you? Think of firmness as what your body feels when it hits the mattress. The number of layers in the mattress, foam thickness and density, and type of cover material can all factor into the firmness of your mattress. Put simply, if you’re waking up with aches and pains, you might need a firmer mattress. Body shape, size, and preferred sleeping position can also make a difference in whether your mattress should be firm or soft. If you’re a side sleeper, you’ll most likely need something that’s right in the middle. You’ve established the kind of side sleeper you are, as well as whether you might need a firm or soft mattress. You even know which side is healthier to sleep on — the right or the left. The only thing left to do now is to pick out the best mattress for not just any side sleeper, but a side sleeper like you. 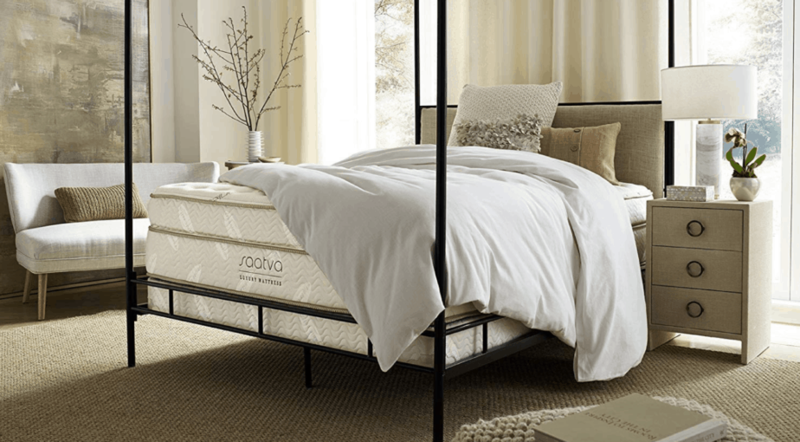 We’ve picked out our favorites in 3 specific categories to make your mattress-buying decision as easy as possible. Our top winner among the best mattresses for side sleepers is the Layla Mattress, because of its “flippable firmness.” This feature allows side sleepers to choose between 2 firmness options by buying just one mattress. If you’re a side sleeper on a budget, don’t despair — because there’s a mattress for you! The very affordable Zinus Pressure Relief Pocketed iCoil Hybrid Mattress has foam on top of coils, so you’ll be supported while pressure is relieved in all the right spots. And if you want to sleep like royalty, and have the budget to do it, look no further than the Nectar Mattress. With Nectar, you’ll find unmatched firmness, breathability, and comfort — the perfect combination for the discerning side sleeper. Besides a new mattress, what else do side sleepers need to get a good night’s sleep? Here are a few suggestions. Knee Pillow for Side Sleepers: Encourage good sleep posture and comfortable spinal alignment with this knee pillow for side sleepers. CPAP Pillow: This contoured memory foam pillow reduces CPAP mask pressure and air leaks — ideal for back and side sleepers. Moonlight Slumber Comfort-U Total Body Support Pillow: Align your hips, back, shoulders, and neck with the Moonlight Slumber Body Support Pillow. You’ll also regulate your body temperature while enhancing your circulation. Decibullz Custom Molded Earplugs: Shut out the world with these earplugs custom-molded to fit your ear.